The Pallada Manual System indicator is a fully prepared manual trading system that does not require the use of any other indicators. Trading instruments - Forex (eur / usd and (or) gbp / usd). 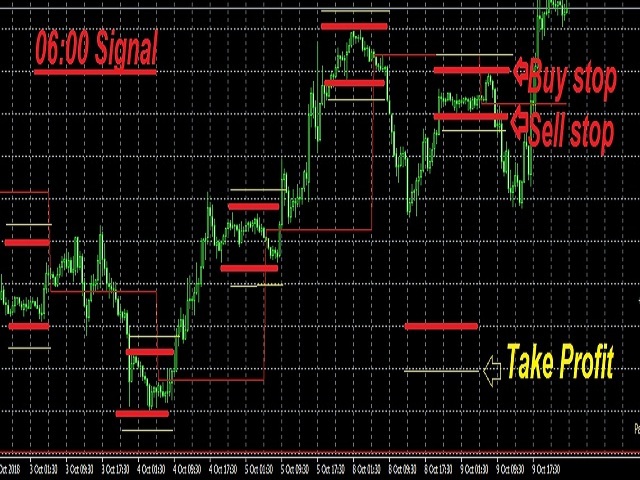 Trading is conducted by placing pending orders of the Buy Stop and Sell Stop types at the same time every trading day at the levels that the indicator draws with red horizontal lines. Take Profit is set at a fixed value along the yellow dotted lines. The upper red line (in standard settings) - placing a Buy Stop order. Bottom red line (in standard settings) - placing a Sell Stop order. Take Profit - indicated by a yellow dotted line (in standard settings). Trailing stop is set at a fixed 95 pips. 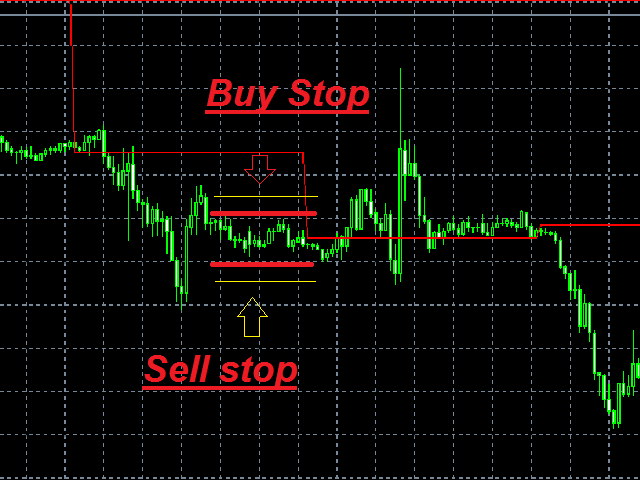 It is possible to use the indicator on two instruments at once - eur / usd and gbp / usd. All not triggered pending orders must be deleted at 20:00 Moscow time. Loss-making orders (if any) must be closed at 22:00 Moscow time. Placing pending orders - daily.